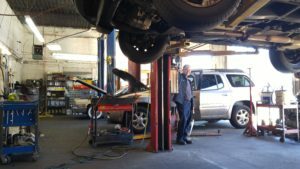 Get The Best Transmission Repair In Duluth! Taking your car in for repair tends to bring up a variety of anxiety. We all wonder if our mechanic is being honest, if we really need what we’re being told we need or if we’re just being taken for our money. When you have transmission problems, you know that can get expensive. That’s why we need to find an auto repair shop that you can trust. Maintaining our vehicle is like death and taxes- it’s just part of life, but thankfully, there are good mechanics out there. That’s Southern Motor Works! These days, we’re getting used to talking to our devices. Whether we’re speaking into Alexa, Google or Siri, it’s becoming a common question to ask, “Where’s the transmission repair near me?” At Southern Motor Works, we’ve been in Duluth for more than 12 years. We have happy and loyal customers all around Duluth, Suwanee, Lawrenceville, Sugar Hill and Norcross. We’ve built our reputation on one thing- providing the best car service we can. Naturally, that includes providing expert transmission repair. Having a mechanic you trust is a valuable asset. Our mechanics are ASE certified and have been repairing cars all their lives. 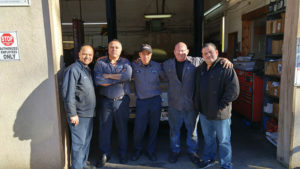 For our guys, providing the highest quality auto repair is more than their job. It’s their passion. They take their repairs personally, so it’s a matter of pride for us all. All our customers get an honest assessment of what might be wrong with their car and a straightforward quote on what it will take to get you back on the road again. No jargon. No nonsense. Just simple terms and options you can understand. Our local mechanics want to make your auto repair as pain-free as possible. When it comes to your vehicle, our mechanics are your full-service partners. We can help you with everything from routine maintenance (like oil changes, tune-ups, emission tests, etc.) to major auto repairs. If you need service that isn’t listed, just call us. There’s practically nothing we can’t do to help you get back on the road. 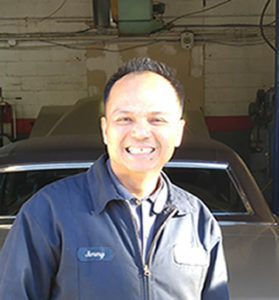 Jimmy Tran took over the auto shop at the current location 12 years ago and has worked hard to build up and maintain his current list of clients. He presently services over 600 clients at that location alone. Why so many? Because his mechanics are simply that good! Once you find an honest mechanic, you keep them! Jimmy is a hands-on owner-operator. When he’s not working on cars himself, he’s out in the community working to build relationships. He is an active and well-respected member of the Gwinnett Chamber of Commerce. He loves to give referrals and enjoys giving back to the community any way he can. Why Come To Our Auto Shop? 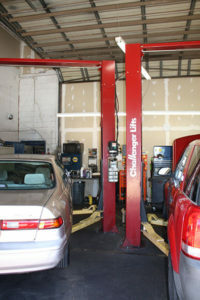 We have 7 lifts and repair bays that always seem active, but we can always make time for your needs. Whether you have a car or truck, we can help you get back on the road in the most affordable way possible. There are dozens of auto repair shops nearby. When it comes down to it, it’s important to work with mechanics that you trust and that understand that they need to continue to earn your trust every time. That’s Southern Motor Works. When you have car problems, you want a few basic things. First, you want a straight answer about what’s going on- in simple, easy to understand terms. Next, you want to know how much this is going to cost you. And, finally, you want to know that the mechanics you’re using know what they’re doing and will do the job right. At our car repair shop, we go out of our way to explain our findings as simply as we can. We understand how you can get lost in the jargon and simply want the bottom line. Our mechanics also give you a straight answer about the costs. 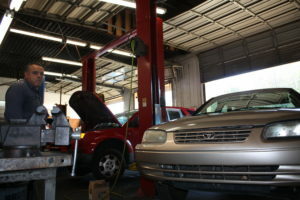 Some auto repair shops tack on extra fees here and there which just go to their bottom line. With us, it’s all transparent and straightforward pricing. You know exactly what you’re paying and why. When you leave Southern Motor Works, you drive away knowing that the job was done right. Our first goal is to use the highest quality parts in the market, but we’re also willing to explore other options if there are budgetary issues. Sometimes refurbished or used parts can work out just fine to get you back on the road. Either way, we’ll help you decide. Our mechanics partner with you to help you decide what’s right for your vehicle. Jimmy Tran is the owner and operator of Southern Motor Works. He’s been working on cars since he was a kid. For him, it’s more than just a job. Figuring out what needs to happen to get a car or truck working again is his passion. He’s put his heart and soul into his auto shop, and he stands behind the work that he and his mechanics do. Jimmy’s business philosophy is simple. He believes that success comes from treating people right. His customers often become his friends because of his easy-going nature and desire to do right. When Jimmy’s not working on cars himself, he’s out in the community. He often attends networking meetings and is an active and well-respected member of the Gwinnett Chamber of Commerce. Whenever he can, he loves to give people warm referrals to help them. People bring their vehicles from all around Gwinnett County. Besides being a local auto repair shop for everyone in Duluth, people bring us their cars for service from Buford, Lawrenceville, Sugar Hill, Norcross, and Suwanee. 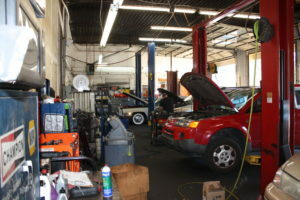 Call the best auto repair shop in Duluth.